Company SCVisual Fan SRL was established in 2002 in Brasov. The rapidly developing Romanian market of electronics and home appliances. After two years of successful operation, the company has had its own brand Allview - and beneath it began to work. The success of this company: the best ratio between quality and price. Soon the company became a manufacturer and distributor of its own brands. Today the company has more than 50 employees, all products are sold both in retail and online at the national level. At the international level ALLVIEW started its activity in the last 2 years. 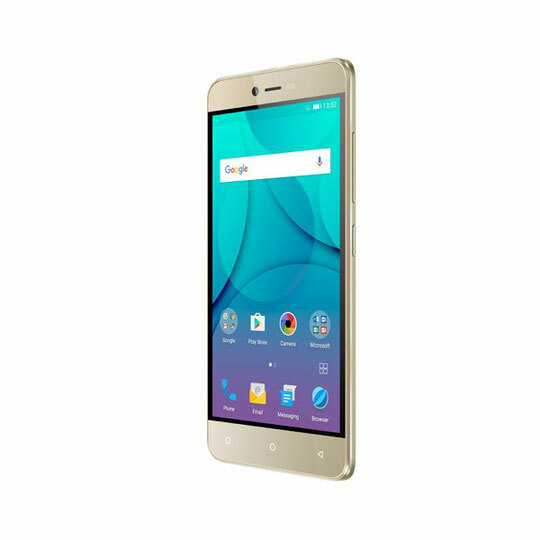 Allview F1 X-Perience - touch phone with support for two SIM cards and a host of advanced features. The large 3 "display with an accelerometer, TV, FM with recording capability. The ability to customize the user interface with widgets. Built-in Wi-Fi, GPRS and Bluetooth, 3,2 megapixel camera. 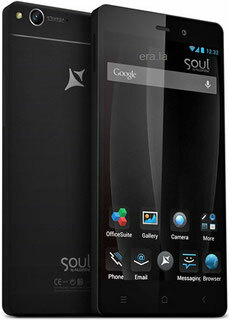 Built-in memory of 512MB which can be expanded via microSD card up to 2 GB. 54.6x95.3h15.2m Dimensions, weight 251g. All these features make the phone F1 X-Perience modern. Allview M4 Slim - mobile phone in the bar form factor with support for two SIM cards. SIM-card can operate simultaneously on two different networks at the same time you get two phones in one. Additional features of this phone can be noted, the FM radio, Audio & Video Player, 3.5mm audio jack, a MicroSD card (up to 2GB), a voice recorder and a good digital camera of 2 MP. This model is an excellent choice for business people who need simplicity and support for dual SIM cards. Allview T1 Vision - touchscreen mobile phone that supports two SIM cards. The large 3 "display with an accelerometer and a swivel function mute. Thanks to the big screen, you can easily watch TV. The phone is equipped with a 3.2 megapixel camera, then share your pictures and videos with friends via Bluetooth or downloaded to a computer via USB. Allview T1 Vision phone for fun and business. Allview E1 Tickle - a fashionable mobile phone that supports two SIM cards. Its large touch screen makes it easy to view images and videos. The phone comes with a black back panel, as well as buying Allview E1 Tickle in Romania can receive one additional color panel. The phone has the following specifications: GPRS support, Bluetooth, FM-radio, 1,3 MP camera with flash, a MicroSD card slot and the ability to customize the user interface with widgets. Allview M3 Sincron - budget mobile phone that focuses on business travelers. The device is designed in the bar form factor with support for two SIM cards. Allview M3 Sincron has the following specifications: 1,3 MP camera, FM-radio, Bluetooth, USB, multimedia player, voice recorder and other useful functions needed in daily life. It is a reliable device for everyday life. 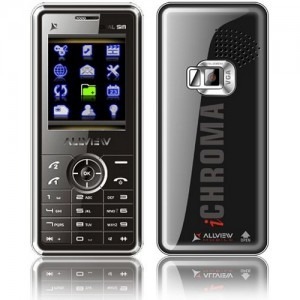 Allview M2i Chroma - is a small and easy to manage mobile phone. Like most other models the manufacturer has the Dual SIM support. The device operates on two frequencies and can offer: GPRS, Bluetooth, FM radio, voice recorder, has a slot for MicroSD cards (up to 2GB). Dimensions mobile phone 105.4x46.4x14 mm. This is an inexpensive phone, dropping that you are not afraid to scratch or damage. Allview G1 Magic - mobile phone made in the slider form factor that supports two Dual SIM. .. The memory design with a large 2.4 "display and touch panel This model is designed for business people, and two batteries included in the kit allows always be in touch Allview G1 Magic has the following characteristics: a 2 megapixel camera, Bluetooth, voice recorder, Media Player and MicroSD card up to 1GB. Allview S1i Tytan - mobile phone in the slide form factor that supports two SIM cards. The phone has pre-installed applications such as Weather & Currex, plus you can send messages via e-mail. The model has a modest set of features, which include: 2 megapixel camera, Bluetooth, voice recorder, and other standard features. Allview M1 Fusion - an elegant mobile phone in the bar form factor. A feature of this phone is its 2 "touchscreen Allview M1 Fusion has the following specifications:. GPRS support, Bluetooth, FM-radio, 1,3 MP camera with flash, a MicroSD slot It is a reliable device for everyday life..
Allview M2 Chroma - mobile phone in the bar form factor. The main feature of this model is its low power consumption. Allview M2 Chroma comes with 2 batteries, which is a great bonus for business travelers. Being a budget phone, M2 Chroma has a basic set of features, such as Dual SIM, GPRS, Bluetooth, FM radio, voice recorder, has a slot for MicroSD cards (up to 2GB).